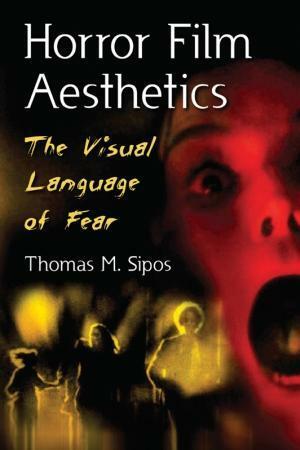 Tidligere på året udgav McFarland & Co. Thomas M. Sipos’ bog om horror – “Horror Film Aesthetics: The Visual Language of Fear” – som blandt andet (som et af de få værker) går ind og ser nærmere på maskeringens symbolik i horrorfilm. En interessant bog, som jeg ser frem til at læse. This richly informed study analyzes how various cinematic tools and techniques have been used to create horror on screen–the aesthetic elements, sometimes not consciously noticed, that help to unnerve, frighten, shock or entertain an audience. The first two chapters define the genre and describe the use of pragmatic aesthetics (when filmmakers put technical and budgetary compromises to artistic effect). Subsequent chapters cover mise-en-scene, framing, photography, lighting, editing and sound, and a final chapter is devoted to the aesthetic appeals of horror cinema. Thomas M. Sipos has worked as a script reader, actor or extra on more than 70 productions and has contributed to Filmfax, Midnight Marquee and other magazines.